We're talking about everything you need to plan, organize and manage a wonderful, memorable family reunion event. Welcome aboard and happy family reunion planning! The Fimark Genealogy Presentation Awards feature of our family reunion planning blog presents creative, artistic presentations from professional and amateur genealogy researchers, family reunion planners, artists, crafts-persons and interior designers. Monthly winners are determined based on creativity, uniqueness and professionalism. Create a unique family tree using a random assortment of family keepsakes in a delicate glass dome. Learn how to make this heirloom using a random assortment of family keepsakes, from a grandfather's spectacles to a baby's first spoon, takes on a cohesive, deliberate look that's both attractive and timeless when encased in a delicate glass dome. The little tree is a lightweight branch, then spray-painted matte gold and held upright with epoxy. Voted 5 stars and one Like by Fimark's Genealogy Presentation Awards. For more ideas see More Suggestions below. This gorgeous quilt incorporates old family photos and an ancestral diary. It was made by Eileen Campbell. Quilts like this can be made from photographs printed on cloth. 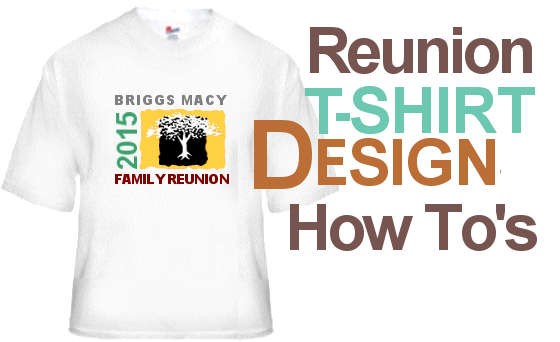 Both these presentations are ideal for family reunion genealogy presentation tables and reunion fundraisers. Don't you love it when someone acknowledges your hard work? I sure do. Fact is, we just don't say thank you enough, not to mention those three little words, "I love you". I resolve to make a concerted effort to express my gratitude to those who work so hard on my behalf, especially Brenda, my wife, only mother of my children and partner in all that I do. So I'm on my phone reading my email, which I do about 10 times a day, when I see a customer service request from a fellow family reunion planner. She's having trouble setting up Fimark's Family Reunion Planner Social web application from her IE browser. I help her troubleshoot by first bringing up her browser version on a similar device I am using. Everything loads fine for me but not for her. I don't understand it. I hate unresolved web app issues, so I commence doing a cross browser diagnostic and prepare a series of troubleshooting questions for her. Before I submit my reply I notice a message from her. Somehow she figured out, completely on her own, that Google Chrome has a more reliable configuration for Fimark's web app, so she writes back: "I was able to access it after I downloaded Google Chrome." A sigh of relief. Then she says those three little words everyone wants to hear... "I love it!" And she adds three more words, "Thanks so much." I can't help but wonder though, exactly what feature is it that she loved so much? Is it the event planning checklist with the To Do List, tips and guides revealing each feature of the even planner as you step through the planning process? Is it the 8 inspiring poems specifically written by a family reunion planner for reunion events? Is it the event creator or the RSVP status app or the colorful flyers or maybe the 5 reunion themes each with itinerary and matching t-shirt ensembles? All I know is she loves it. And that's good enough for me. So I'll keep giving my best and hope that it leads to a meaningful event planning experience. Another comment came in this month: "Thanks again and I love what I have experimented with so far. Nice and organized." And this comment came in 4 weeks ago: "Thanks so much Mark. I was so engrossed with it I forgot to reply. It's wonderful." Wow! We're on a roll. 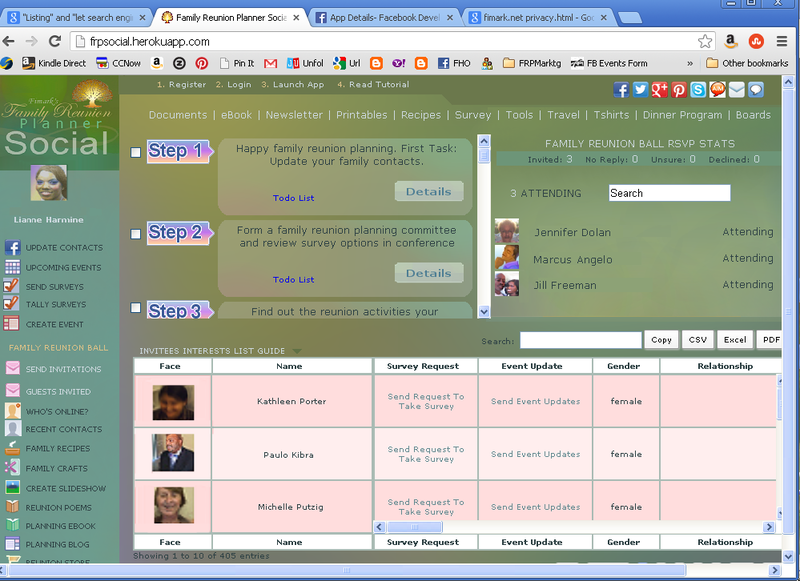 Fimark's Family Reunion Planner Social is becoming everything we hoped it would be. Make someones day. In conclusion:Take the time to express your gratitude to the ones who need it most each and everyday. It means a lot to those quiet loyals who are working hard in the background holding it all together. And to all of you who take the time to say thank you, four little words in reply: You're so very welcome. 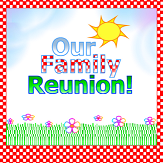 What Are Your Favorite Family Reunion Activities? 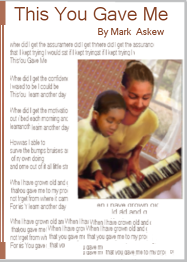 Copyright 2016 Fimark.net, all rights reserved.. Picture Window theme. Powered by Blogger.